If “Succession” was cut down to a half-hour comedy, it would be an apt successor to HBO’s vicious, outgoing political satire, “Veep.” It’s got the same satiric spirit and vulgar insults, this time applied to Manhattan’s business district, yet the added minutes bring context for its devilish characters. 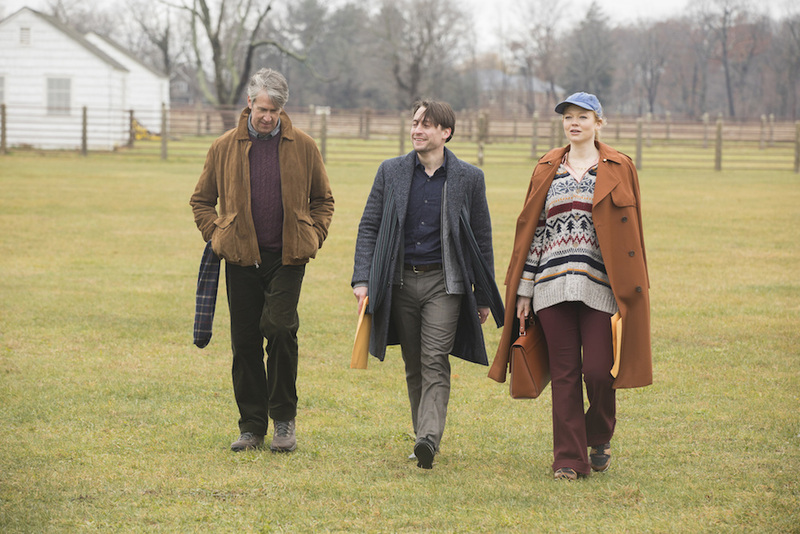 Jesse Armstrong’s new series takes a bit of time to find its groove; the stakes within the Roy family business — a massive media and entertainment conglomerate, not unlike those run by the Murdochs or the Hearsts — initially dull the series’ incisive points about grown children corrupted by their obscene wealth. Produced by Adam McKay, who also directed the pilot, “Succession” can be alternatingly anxiety-inducing and hysterical. It’s got a lot of “The Big Short” in it (though with much less jargon), but the lingering darkness and developing intensity feels more like a sharp-tongued “Billions” or, again, a version of “Veep” where you’re asked to invest in the characters instead of chuckle at their repeated misfortunes. Whether taken as a black comedy, a brutal family drama, or both, “Succession” is a damn good series that only gets better as it goes. The first six episodes gain a faster pace as they go, but the cast immediately makes their characters feel like lived-in, uniquely curious individuals. There’s Kendall Roy, the heir apparent to the company. Played by Jeremy Strong with a constant defensive stature, Kendall is always ready to prove himself worthy of a job his father, Logan (Brian Cox), has made nearly impossible to succeed at; the bar is too high, and Logan’s constant disapproval of his son keeps Kendall operating from a protective stance. He just doesn’t want to disappoint his daddy, even when he’s trying to take his seat. Kendall’s character is impeccably put together, internally and externally. He wears his clothes like a suit of armor, covering every inch of his body from the emotional shrapnel any member of his family could send shooting his way. And shoot they do: His sister, Shiv (Sarah Snook), operates outside the company, but that doesn’t keep her from being possessive of it. His brother, Roman (Kieran Culkin), is the black sheep who the Roys are happy to let live on the wild side, so long as he doesn’t hurt the business. The two are partnered up in the beginning, teaming up as much as they tussle, but both come to life when they’re left on their own later on. Shiv is damaged, but oblivious to it, which leads her to talk around problems in delightful fashion. (Wait for her explanation for why a certain couple needs an infidelity clause in their pre-nup.) Roman likes dropping truth bombs that have a tendency to a) get a big laugh, and b) move the plot forward. He should be a favorite for those that don’t hate him. But the real scene-stealer is Tom, played by the always great Matthew Macfadyen. As Shiv’s longterm partner and an employee at the Roy family company, Macfadyen gets not only a comedic turn, but a bizarre comedic turn. Tom is a different person to everyone. At work, he’s a people pleaser to his bosses, who are also his would-be father- and brothers-in-law. Macfadyen maintains a “I can take anything with a smile” look for such dismissive assaults it’s impressive he can make it convincing — but he does. With those underneath him, mainly a new-hire (and family cousin) named Greg (Nicholas Braun), he’s as cruel and rude as his bosses are to him (the “Chain of Screaming” from “How I Met Your Mother” comes to mind). With his girlfriend, he’s silly and romantic; he’s charming, even. So, which one is the true Tom? Is he a company climber, only in his relationship for its connections? Or is he a St. Paul simpleton, in love with a woman but corrupted by her family? Or is he a mix of the two? Similar questions can be asked of the series itself: Is it a condemnation of corporate greed and its pervasive destruction of America, or is it an engaging family story about children extricating themselves from a toxic upbringing? It could be both, and often is. 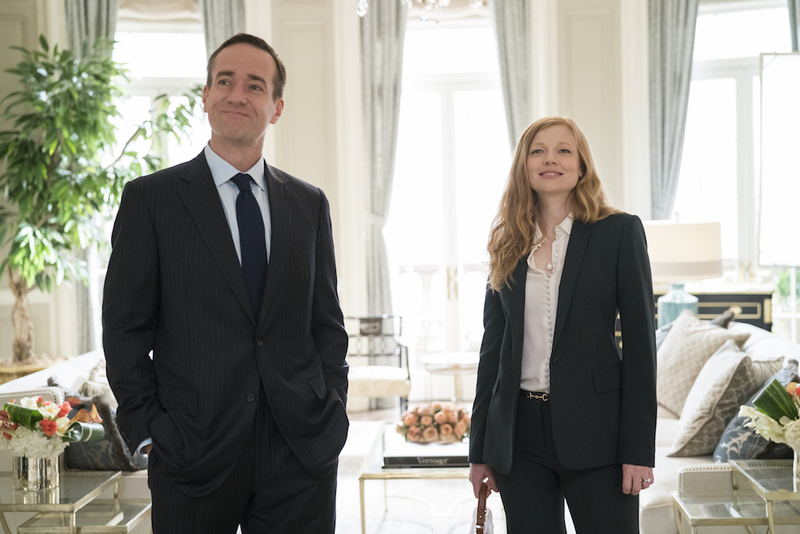 After six episodes, “Succession” stops feeling like chunks of it are working and starts churning out more and more addictive content. Mysteries are building over time, but there are immediate conflicts that work just as well in the show’s present. The humor starts to spring up unexpectedly, enlivening the narrative instead of saving it. So rather than wish for something to be cut down and fit into an old box, delight in watching this witty drama or black comedy grow into something new. “Succession” premieres Sunday, June 3 at 10 p.m. ET on HBO.